Editor’s Note: Tony Adams moved to Eufaula (http://eufaulaalabama.com/), Alabama, in 1989 and began fishing the Chattahoochee River that had been impounded to create in 1962 Lake Eufaula, also known as the Walter F. George Reservoir, that were on the Alabama/Georgia border. 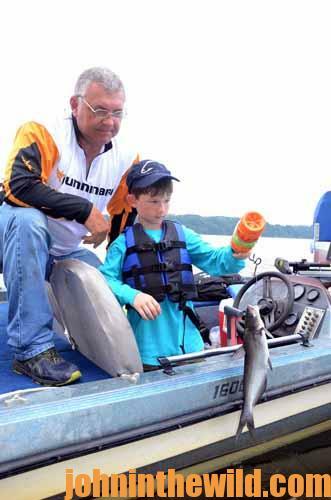 When Tony Adams arrived in Eufaula, he decided he would learn where and how to catch catfish and crappie there. Last week on John in the Wild (http://johninthewild.com/how-we-fish-for-crappie/) we told you how Adams finds and catches crappie. This week we’ll tell you how he locates catfish, and how he rigs and catches catfish. To increase our fun of jug fishing, we had young Mason Mogren of Eufaula in the boat with us when we went to pull in the jugs. Mason was just the right size and age to really enjoy catfishing. He liked to pick up the jugs, and as the boat continued to move forward, he’d pull in the line and hand the jug to Adams. If a catfish was on the end of the jug, Adams would wrap the line around the jug and get the dip net ready. There’s nothing quite as much fun as watching a youngster when he feels a catfish on the end of the line and pulls that catfish in hand-over-hand. We watched the thrill of that youngster as the cat flopped against the side of the boat, and Adams tried to slip the dip net under the fish. I learned so much about jug fishing with Adams for 4 hours when we caught somewhat over 100 pounds of cats. With young Mogren in the boat, we produced three limits of crappie too in that 4 hours of fishing at Lake Eufaula. 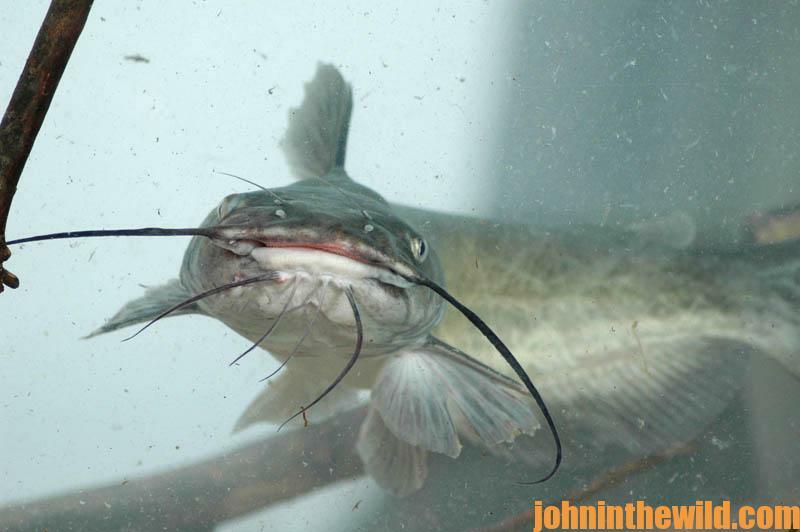 Here are some tips I picked up that will help you and me with our jug fishing for catfish. * A 20-ounce Gatorade or a soft drink bottle with the cap screwed on is an ideal size of jug to fish. It’s not too big and doesn’t take up much space in the boat. * Those 20-ounce jugs rigged and ready to fish can be put in a drink case they’ve been designed to fit in to take up far less room and be much easier to handle than gallon jugs or bigger. * The line will free-spool off the end of the jug just as fast as line free-spools off a spinning reel, by throwing the bait in the water and keeping your big engine running. 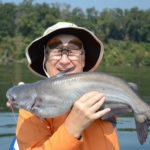 * Deep-water fishing produces more and bigger catfish than fishing in shallow water, or at least, that was true when we fished on Lake Eufaula in Alabama. * Stainless-steel hooks require much less maintenance and can help you land bigger cats than wire hooks will. * Tony Adams, even when using big hooks and big baits, still catches those 1-2 pound cats that are just right for the skillet. He still can land those 30-pound-plus catfish much easier with the big hooks than with smaller hooks. * A Bream Buster pole with a large bass hook tied to the end of it makes picking up jugs, as well as fighting and landing big cats, easier and quicker than trying to pull the cats in hand-over-hand with the line. 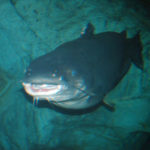 * You must spend 4 hours of the day baiting and landing the catfish you catch on your jugs to take the most catfish. Then take up the jugs, and spend the other 4 hours bass fishing or crappie fishing. 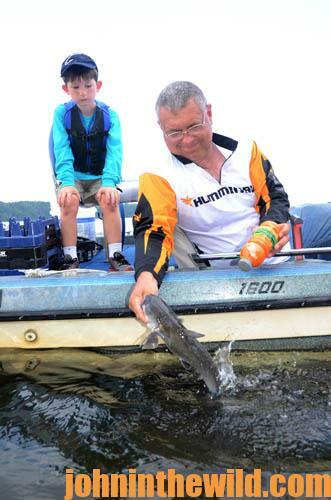 * You always need to take a youngster with you to get the most fun out of a jug-fishing trip. Watching those youngsters get excited when they see jugs moving is a lot of fun. They become fired-up when they feel a catfish on the end of the line, and they get about as excited as a person can get when the catfish comes alongside the boat and is dipped up and put in the boat. 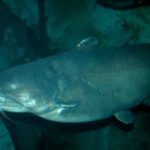 * Jug fishing Adams style is one of the quickest ways I’ve ever seen to catch the most catfish in the shortest time for both the table and the freezer. 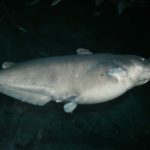 You can contact my guide, Tony Adams at 334-688-7505 or tony.adams@marvins.com and see photos of his fish on his Facebook page (https://www.facebook.com/tony.adams.5477). While in Eufaula, I stayed at Lakepoint Resort in the Alabama State Parks (http://www.alapark.com/lakepoint-state-park), where the rooms have views of the lake, and the food is delicious. Contact the sales director, Sone Kornegay, at 334-687-8011 to learn more. 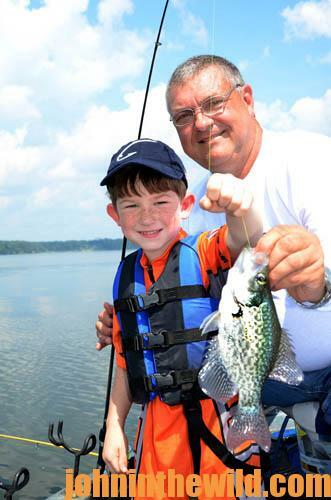 If you want to hold a crappie-fishing, a catfishing or a bass-fishing tournament at Lake Eufaula, you can contact Mayor Jack Tibbs at mayortibbs@eufaulaalabama.com or call 334-695-3765. You also can call 334-343-6173, go to www.alabamablackbeltadventures.org or email pam@alabamablackbeltadventures.org to learn more about Alabama Black Belt Adventures, of which Eufaula is a part. 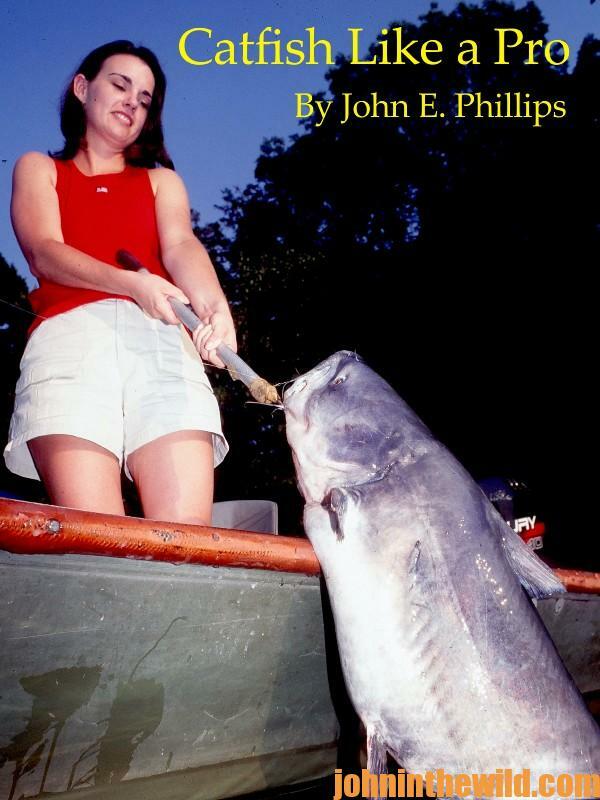 To learn more about catfishing, go to http://amzn.to/W900eu to get John E. Phillips’ “Catfish Like a Pro” and others. Type in the name of the book, and download it to your Kindle or you can download a Kindle app for your iPad, SmartPhone or computer. 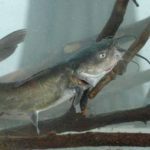 You can also get “The Catfish Catcher’s Cookbook” for free at http://johninthewild.com/free-books.